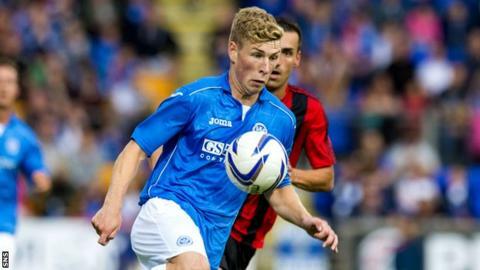 St Johnstone midfielder David Wotherspoon has signed a contract that will keep him at McDiarmid Park until 2017. The Perth-born 25-year-old joined Saints in July 2013 from Hibernian. Wotherspoon was in the St Johnstone side that won the Scottish Cup last season, when they beat Dundee United 2-0 at Celtic Park. McDiarmid Park boss Tommy Wright said: "I'm pleased that David has signed on for another two years." Wotherspoon has made 24 appearances for the Perth men this term. He started his career at Hibs and played more than 130 times for the Easter Road outfit between 2009-2013.